Slain in the Spirit: Truth or Heresy? Home Biblical Christian Articles Winds of Doctrine Slain in the Spirit: Truth or Heresy? The spirit manifested by faith healers and those who claim to be “slain in the spirit” is not that of the Holy Spirit of Yahuwah. It started softly. Just a quiet, little sound that broke the stillness of the convent. But then it came again. Had a cat found its way into the abbey? A second cat joined the first. Where were these animals coming from? The mother abbess strode swiftly down a corridor. Animals had no place within these hallowed halls! She followed the sound to a small room in which a sister was calmly sweeping. Why was she just standing there, sweeping? Why wasn’t she trying to catch the cat and get rid of it? It was the sisters making that racket! But then another voice joined in. It was spreading! 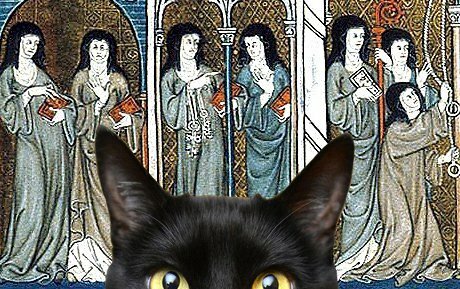 It was not long before the feline infection spread to most of the other nuns in the French convent. Then, something odd happened. The meowing sisters began synchronizing their caterwauling! At certain times of the day, they’d all meow together for several hours. Nothing the abbess did could get them to stop. Problem solved. No more meowing! Centuries later, it remains a fascinating case study of what was nothing more than mass hysteria run amuck among bored inmates. The nuns of France were not the only Christians ever to be swayed by the power of suggestion. But, as shocking as it is to suggest, this was not the last time mass hysteria and the power of suggestion has influenced Christians. In his first letter to Timothy, Paul warned: “Now the Spirit speaketh expressly, that in the latter times some shall depart from the faith, giving heed to seducing spirits, and doctrines of devils.” (1 Timothy 4:1, KJV) The charismatic teaching of being “slain in the spirit” is one such doctrine of devils. It is sometimes referred to as “falling in the Spirit” or the “touch of power.” It frequently occurs when someone is seeking healing. Of course, with Yah, all things are possible. As the Creator is all-powerful, it is perfectly possible He could, indeed, come upon a person with such force he or she would be overcome. The problem is not whether or not Yahuwah can do this, but whether such a belief—and by extension, such a practice—is Biblical. Advocates of this practice quote various passages of Scripture in an attempt to prove it occurred in Bible times. However, a careful examination of these passages reveals they cannot be used to support “falling/slaying in the Spirit” without twisting Scripture. One frequently quoted verse describes the dedication of Solomon’s temple. Neither the wicked collapsing at Yahushua’s arrest, nor the collapse of Saul can be used to support the modern belief of falling in the Spirit because those who approach the various faith healers are typically very sincere-hearted believers whose hearts, to the best of their knowledge, are right with Yah as they seek His blessing. Evangelists and faith healers who slay in the spirit never reach out to strengthen those supposedly overcome by the power of Yahuwah. Rather, it appears as though they revel in the demonstration of “their” power. Indeed, many of them have “catchers” to make sure those pitching over backward are not hurt. Resembling the Meek and Lowly One? Despite these precautions, people have been hurt before. The family of Ella Peppard brought a multi-million dollar lawsuit against evangelist Benny Hinn for injuries she received at a revival—injuries they alleged contributed to her death. Peppard was waiting in line to receive Hinn’s blessing when he struck the man standing in front of her so hard, that he flew backward, knocking her down and breaking her hip. Instead of offering her medical assistance, Hinn ordered Peppard removed from the stage and placed in a seat near the front of the church, the suit said. In another incident involving Hinn, his son and two body guards were arrested for beating up and torturing a deaf and mute man who had approached the stage with some water, seeking a blessing. Hestephenson Araujo, 21, reportedly needed hospital treatment after the incident … during a religious crusade in Manaus, northern Brazil. The men took Mr Araujo to a trailer parked near the stage where they allegedly held him captive inside, beating and punching him as they demanded to know who he was. Because the man could not hear or respond to their demands, the physical aggression continued, police said. The obvious question is this - if God is knocking people down, why do we need to catch them? … They explain this manifestation as being directly caused by the power and presence of the Holy Spirit. If this is so, [is] He … not mighty enough to see to it that those He sovereingly knocks down are unhurt by His blessing? These churches employ catchers because (1) they know people fake falling many times, it is a programmed response. (2) They lack faith in their own stated beliefs. Obviously God is not big enough to safeguard His people. Also along with the catchers we had sisters … who came along beside or behind the catchers with large sheets of material. Their ministry was to place these sheets over the womens [sic] legs and bodies. Why? Because many times when women would be slain in the spirit they would fall in very immodest positions. Benny Hinn spoke at a prayer breakfast and I watched him pray for my mother on the other side of our table. The group of Full Gospel Businessmen who accompanied this budding superstar performed like a cadre of bodyguards around the president, raising great expectations and excitement, and exuding power and prestige simply by the manner in which they approached and moved through the crowd. 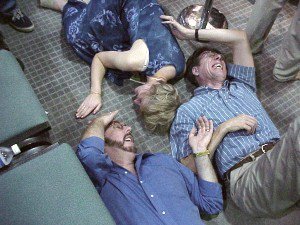 The experience of being “slain in the Spirit” is frequently witnessed in large assemblies or at evangelistic efforts, where the preacher will have a special time of healing. 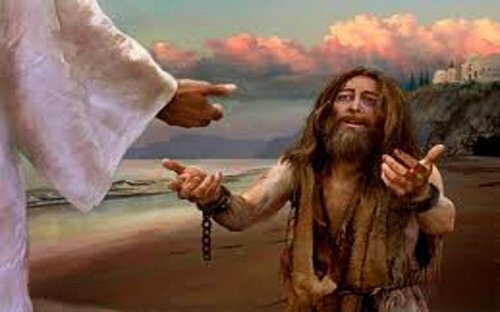 He or she will go around, laying his hand on the forehead of a sick person, who will then fall backward. Some “faith healers” such as Benny Hinn, will even appear to make a joke of the power of the Holy Spirit, waving his suit jacket at the crowd or even blowing on them, to which, predictably, they collapse. People are suggestible. A person can be led into a suggestible state of mind, or altered state of consciousness, where they are more inclined to be influenced by the speaker and the reactions of those around them. Program leaders deliberately select music that corresponds with a person’s heart rate. The beat in most praise and worship music aligns well with the cardio-vascular system. Entertainers understand the power of group dynamics. This is why comedians and rock stars have opening acts to “warm up the crowd”. Group dynamics also work in favor of faith healers. When the expectation of everyone watching is that you will fall when touched on the forehead, most people will fall. Repetitive speech patterns, and even certain tones of voice, can help induce impressionable mindsets. Neuro-linguistic Programming and Eriksonian hypnosis have invaded even those Christian denominations that are not Pentecostal, with some pastors boasting of their ability to hypnotize their congregations. People in such settings are vulnerable to being hypnotized. Thus, for a period of time, their pain may very well appear to be gone. Follow up studies, however, have revealed that the vast majority of those who at first thought they were healed, were in fact, not. Harville admits that these exact same practices, using precisely the same methods, are used in eastern religions and the various mystic traditions from around the world. Paul warns how Satan can transform himself into an angel of light, stating: “And no marvel; for Satan himself is transformed into an angel of light. Therefore it is no great thing if his ministers also be transformed as the ministers of righteousness; whose end shall be according to their works.” (2 Corinthians 11:14-15, KJV) This is precisely what is happening with this Pentecostal movement: altered states of consciousness, spiritual trances, hypnosis, etc. By using Christian terminology, praying to “Jesus”, calling for “revival”, admonishing believers to have “faith”, these Christian gurus clothe occult practices in robes of light. 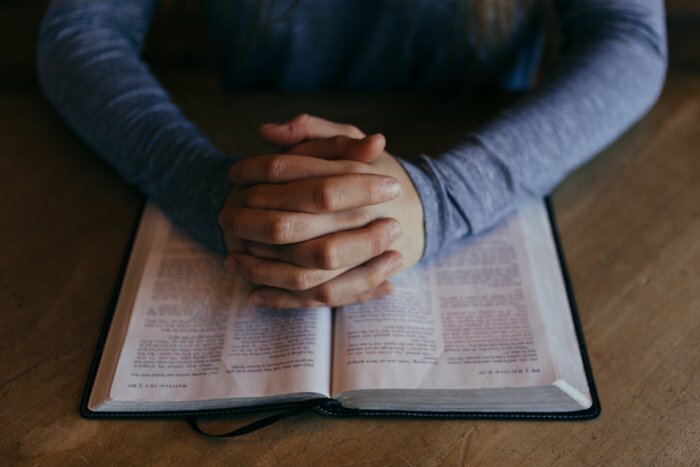 Today, I would say that this is something a lot darker … Today, I believe that spirit is a false spirit, a counterfeit spirit and not the Holy Spirit of Scripture. … I would say that this was never a true, genuine manifestation of the Holy Spirit because the fruit of that church is rotten. … The Holy Spirit, by His very name, is Holy. He will not encourage people to do anything unholy. Scripture contains no references to early believers indulging in any of the gross, undignified displays seen in those who are "slain in the Spirit." Biblical worship was holy, even as Yahuwah is holy. The joy of Yah never destroyed the individual’s personal dignity. One of the fruits of the spirit is self-control. Would Yahuwah actively destroy something He is trying to instill into your character? Note: The transformation that Yahuwah brings is the opposite of that experienced by those who are "slain in the spirit." The Spirit of Yah, in the above passage, calmed the erratic behavior of the demon-possessed man and restored in him a sound mind. Those who advocate the unbiblical practice of being slain in the spirit exhibit the opposite of this; they are transformed from an apparently sound state of mind to a reckless and wildly erratic state of emotion/behavior. Scripture admonishes believers: “Test all things; hold fast what is good. Abstain from every form of evil.” (1Thessalonians 5:21-22, NKJV) Yahuwah is calling Christians today to return to true, Biblical spirituality. A true connection with the Almighty does not come in a noisy group. An authentic spiritual experience comes individually, when in silence, the solitary soul can hear the still small voice. This lesson is for us today. The Father knows the longing of your heart for a close, intimate connection with Him. He will not leave it unsatisfied. That desire was planted in your heart by Him! Let your example be the Saviour. “Now in the morning, having risen a long while before daylight, He went out and departed to a solitary place; and there He prayed.” (Mark 1:35, NKJV) You may live in a crowded apartment building. You may be surrounded by non-believing family members. But you, too, can withdraw to your own solitary place. Maybe your solitary place is your bedroom. Maybe it’s your closet. Maybe it’s a bench in a quiet corner of the park. Maybe it’s your car parked at the far end of the grocery store parking lot. Maybe the only quiet you can get is locking yourself in the bathroom. Wherever you can carve out a quiet space to focus on and listen to the still small voice, your Father will draw near to you, and speak to you personally. 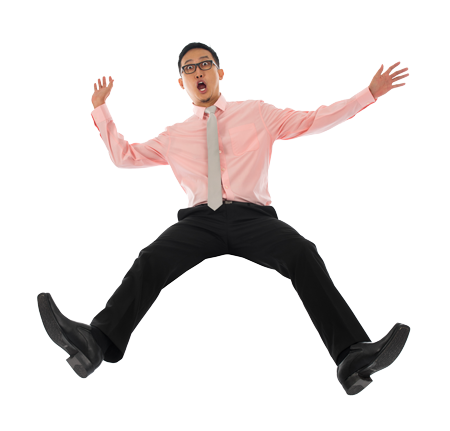 The practice of being "slain in the spirit" relies heavily upon emotional excitement. Divine truth does not rely on emotion, but appeals to the mind. Yahuwah says, “Come now, and let us reason together.” (Isaiah 1:18, KJV) Rationally compare theology with Scripture. Don’t compare theology with emotion because the emotional high experienced by spectators at a rock concert is the same sense of oneness and euphoria you can get singing hymns with 2,000 other believers at camp meeting. Emotion should never be accepted as proof of anything, let alone something as important as salvation. Salvation requires repentance and faith in Yahuwah, not some ecstatic trance or emotional flight of fancy. If you have gotten involved with such irrational, emotional displays, please, don’t take our word for it that this is unbiblical. Read Scripture for yourself! Prove all things by the word of Yahuwah. Lay aside that which does not agree with His word and cling to that which is good. Yahuwah will always satisfy the soul-hunger of anyone longing to be close to Him. 1 J. F. C. Hecker, Epidemics of the Middle Ages, p. 127. 2 Matt Slick, “What Does It Mean To Be Slain In The Spirit?” Christian Apologetics and Research Ministry. 6 http://www.ovrlnd.com/FalseDoctrine/slaininthespirit.html, emphasis in original. 10 See Nader Mikhaiel, The Toronto Blessing and Slaying in the Spirit, referenced in http://www.ukapologetics.net/slain.htm. 11 See https://www.youtube.com/watch?v=FfmAIxz1yBs&spfreload=5. Paul’s surname may be misspelled, as the audio is slightly garbled and difficult to make out.